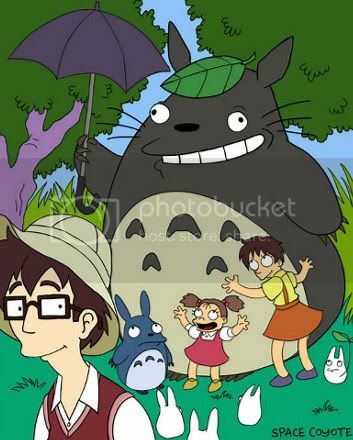 A few weeks back, Journalista and other blogs posted about a deviantART site member who had posted fan art of the Simpsons and Futurama characters done up her own 'Anime-style'. Turns out spacecoyote (aka Nina Matusmoto from Vancouver) did the drawings as a joke for a few of her friends, and the digg/del.icio.us/fark machine took over, granting Nina the coveted and surreptitious honor of Internet famousness. Holy shitballs, in this case it seems that Internet famousness has alchemically mutated into fame IRL, as she's now received job offers from Bongo/Groening to work on a comic for them, along with possibly the upcoming relaunch of Futurama (DANG!). According to her livejournal, she's also been contacted by a yet-unnamed US manga company about doing a comic with them. Oh, and Nina was also recently interviewed by the Toronto Star, which you can click here to read. To be totally honest, at first I was sortof, well... MORE enamored with the story of fan-art turning into a real job (it's like a Harry Potter slash fiction piece getting turned into an actual TV pilot!) but LESS taken with the actual piece. Something about the SIMPSONZU pic creeped me out (though, the Futurama one is pretty damn nifty). 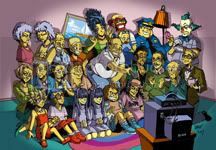 Well, I've come across ANOTHER piece by Nina that basically affirms her position as geek-made-good starlet, deserving of her luxurious job offers: The cast of Death Note as Simpsons characters! PPS: I have to wonder, did the person who did the Battlestar Galactica characters in Simpsons style get any job offers? I have to wonder, did the person who did the Battlestar Galactica characters in Simpsons style get any job offers? That would be the great Dylan Meconis. Ah yes, Mr. Meconis. Very fantastic stuff! The relaunch of Futurama had nothing to do with this picture. 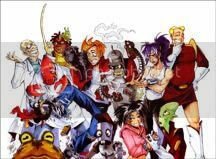 It was considered for new episodes with the making of a new contract with Comedy Central to air their show on this network after reviewing the enormous views from the show airing on Adult Swim. on account of the strength of her online portfolios. 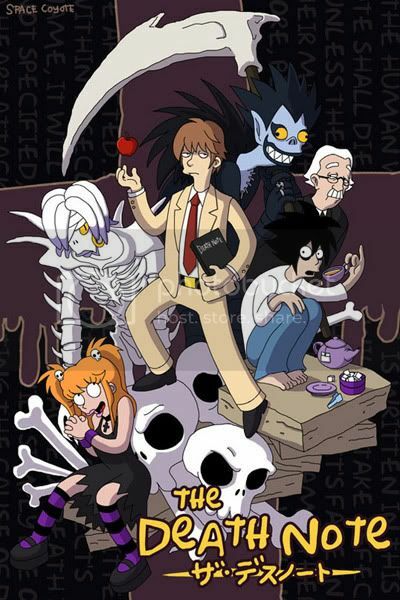 men is great idea to combine this two series, a little part of the dementia o the Simpsons with a many part of the insane viagra online of death note, and what we have? simple just look the picture.